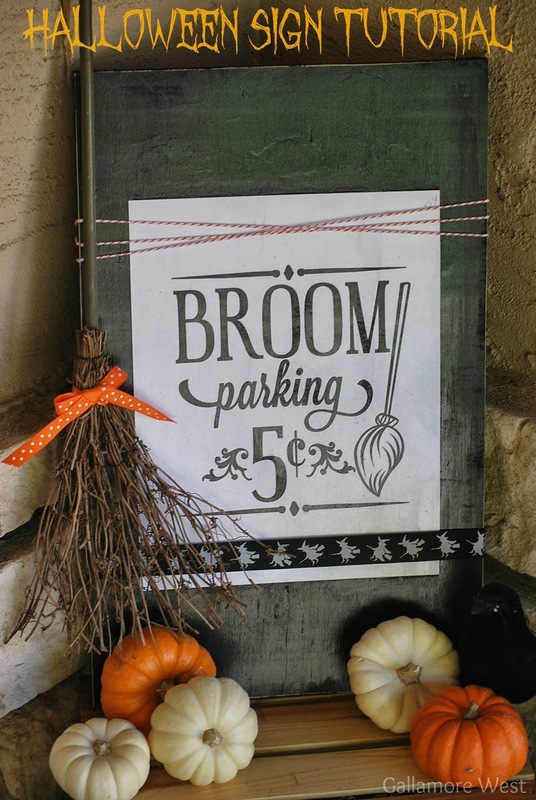 We're busy getting things spooky around Gallamore West, but we go for "cute and crafty" spooky more than scary so this Broom Parking Halloween Sign made with Outdoor Mod Podge fits right in! 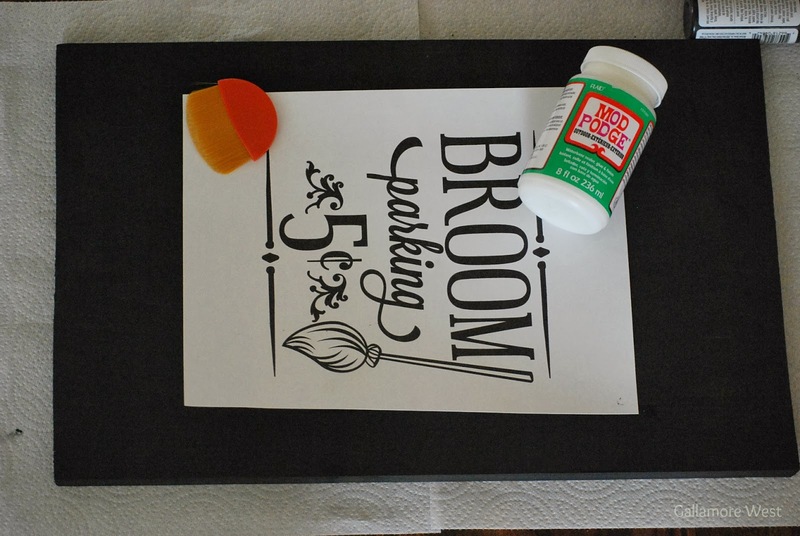 Mod Podge is great because it will allow you to adhere paper, fabric and more to your surface. 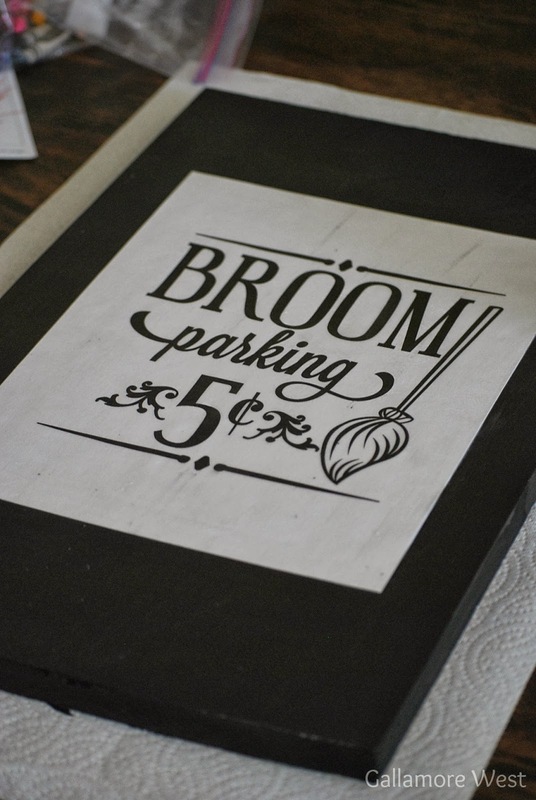 I found this cute "Broom Parking" sign as a download on my Silhouette machine so I just printed it out without having my Silhouette actually cut anything. 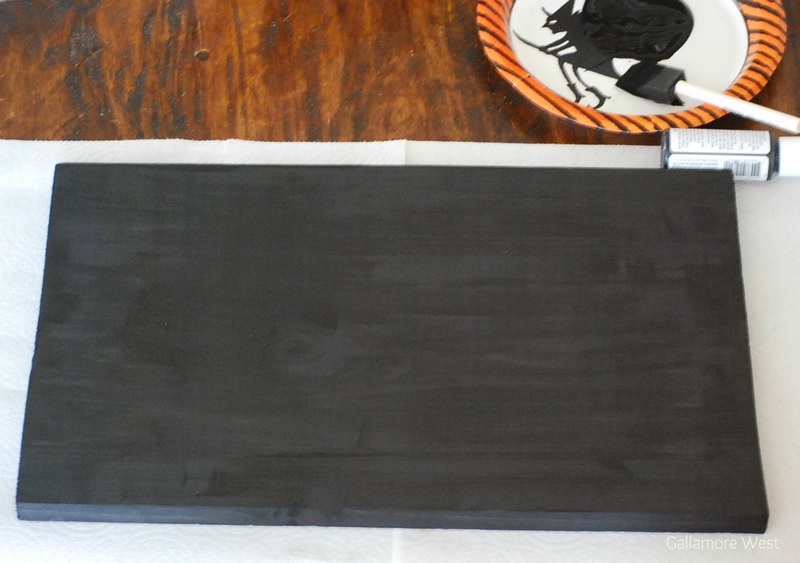 Then I painted my wood board black and let it dry. My next step is getting these two joined together in harmony with the goal of staying beautiful and intact while serving as outdoor decor. The perfect solution for that is generous layer of Outdoor Mod Podge. 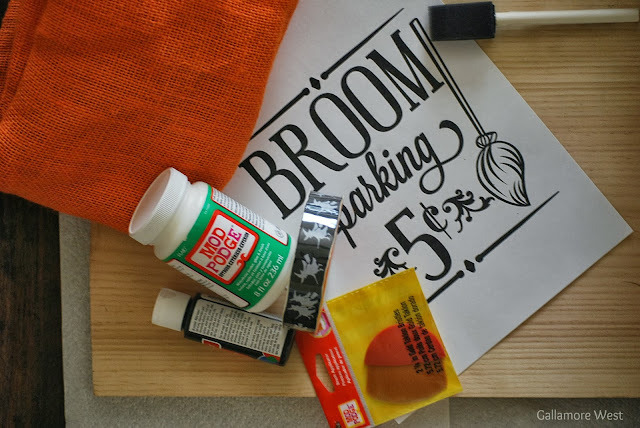 Did you know it's better to brush your Mod Podge onto the harder of the two mediums you're using? 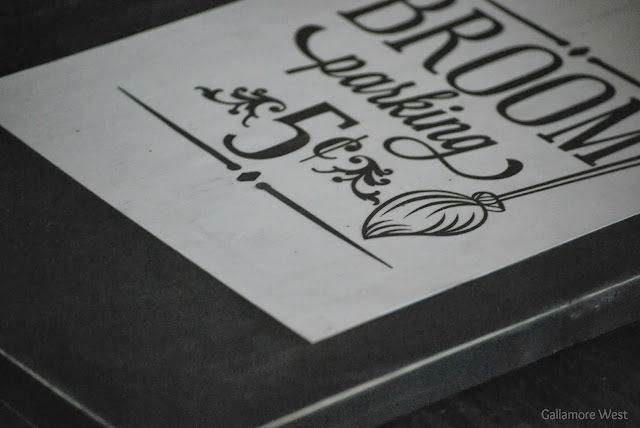 I'm using wood and paper here, so I brushed a layer of Mod Podge onto the wood. It was totally okay that the Mod Podge layer was actually a bigger area than the paper I was placing on top of it because after that coat underneath the paper dried, I covered the whole surface of the board in a layer of Mod Podge to seal it for outdoor use. 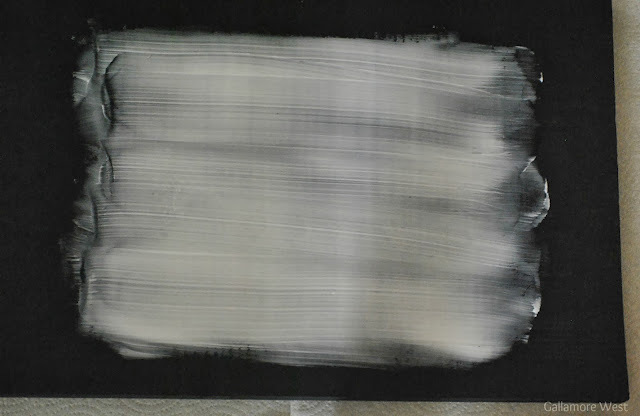 Yikes, it looks a little rough right now, but not to worry because Mod Podge dries up quickly and clear. Just a few minutes later, it was dry and all of those white marks are gone. Then I roughened up the edges a bit by sanding it down with a fine grade sandpaper. Using some of my favorite Halloween ribbons in traditional black and orange Halloween colors plus some orange & white twine, I brightened up my sign a bit. 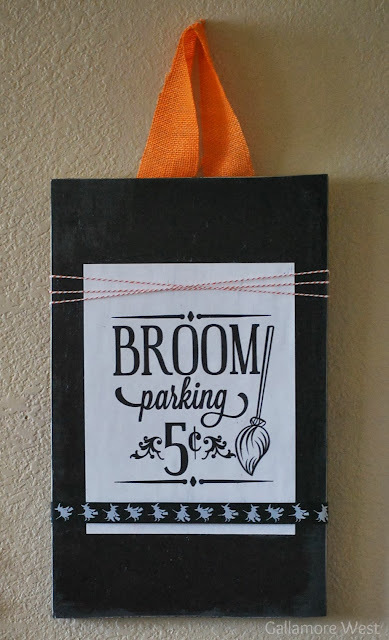 Using a staple gun, I attached a piece orange burlap in case I'd like to use it as a hanging decoration in the future. 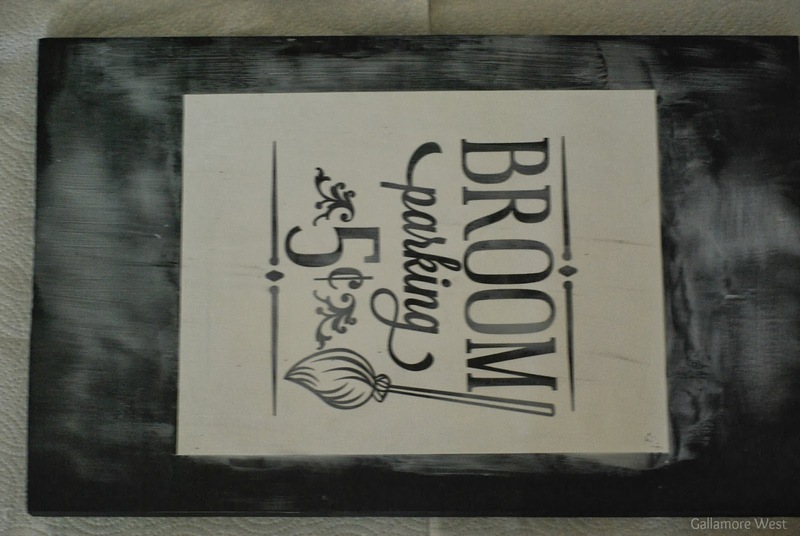 To keep the edges of the burlap from fraying, I simply brushed on a really thin layer of an awesome product called Stiffy, a fabric stiffener. I used it on the edges of my new No-Sew Halloween Banner too. 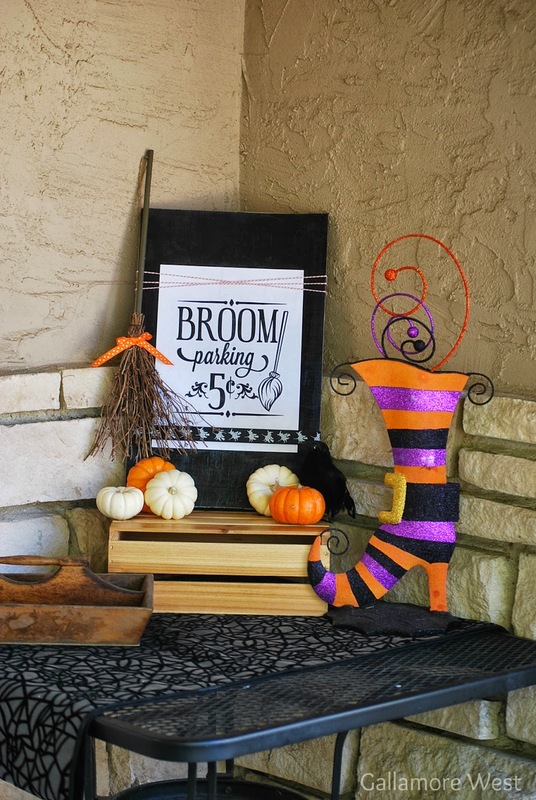 I'm loving how cozy and right at home my Halloween sign made with Outdoor Mod Podge looks out front on our front porch all decorated for Halloween! Want more ideas from fellow crafters? Check out Plaid's Facebook page, or get inspired by following Plaid's Pinterest Page! Here are some amazing crafts made with Outdoor Mod Podge! Disclosure: This is a sponsored post for Blueprint Social and Mod Podge. All ideas and opinions are my own. Love the sign!! I have a thing for witches during halloween. I am sure it goes back to my mother...she loved them. Can't wait to try out the outdoor mod podge! Thanks.